Moving those we love towards greatness! Mr. Campbell is a 1962 graduate of East High School, Eudora, Arkansas and a 1967 graduate of Arkansas A.M.& N. College (UAPB), Pine Bluff, Arkansas. With a degree in social sciences, Mr. Campbell served in the U.S. Army where he received advanced clinical training in Social Work and Psychology at Brook Army Medical Center, San Antonio, Texas and was honorably discharged as the Non-Commissioned Officer in charge of the Neuro-Psychiatric and Mental Health Clinic at Reynolds Army Medical Center, Fort Sill, Oklahoma. 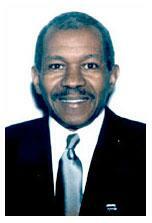 For over 25 years, Mr. Campbell was a manufacturer's representative in the pharmaceutical industry. His career experiences included coverage of Medical, Teaching Hospitals in Michigan, Virginia, Washington DC and Germany. He successfully completed preceptorships in Solid Organ Transplantation at the University of Texas in Houston, Texas, Parkinsons Disease at the University of Pennsylvania, in Philadelphia Pennsylvania and Internal Medicine in Fredricksburg, Virginia. In honor of his mother, Mr. Campbell established the Georgia V. Nichols-Campbell Foundation in the Commonwealth of Virginia and was granted a 501 c (3) designation as a public, non-profit foundation in 1997. As its President and Chief Executive Officer he is dedicated to its continued growth. Mr. Campbell believes strongly that; "giving back is one of the most fulfilling and revealing experiences one can have in his/her lifetime." His goals are to encourage volunteerism from those who wish to assist in carrying on the legacy of Mrs. Campbell, to encourage financial support from those whose lives she touched and from individuals, organizations and corporations that exemplify her humanitarian spirit. "It is important for those serving the Foundation to understand that our primary goal is to give the most important gift we can give to today's youth...the gift of education... A sense of urgency must permeate our beings, providing the motivation necessary for us to function at our best collectively, exceed our expectations individually, expand the vision of Mrs. Campbell, while maximizing the potential of the G.V.N-C. Foundation which is her legacy. 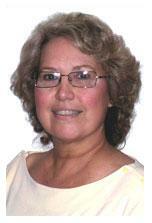 Glenda Kearney DuBoise graduated from Washburn University in 1977 with a major in Communications Arts. She received her Masters of Science in Management from Baker University in 1996. She has been employed by SBC, now the New AT&T for 34 years. She has held many positions in the areas of Network, Marketing and Sales and has also received recognition for outstanding performance. Currently, she holds the position of Program Integration Manager. Glenda lives in Topeka, KS and is married to Melvin DuBoise. She has 2 Step-Daughters and 3 Step-Grandchildren. The Georgia V. Nichols-Campbell Foundation has been a driving force in the continuing education of students from the Eudora High School. It has provided funding in the form of scholarships to many students who may/would not have received such support from other sources. The foundation is the instrument that implements the vision of the late Mrs. Georgia V. Nichols-Campbell that every child would be educated and become successful citizens. As a child growing up in Eudora, Mrs. Georgia served as one of her mentors and she too embraces this vision. She looks forward to becoming a valuable member of the foundation's board of directors. Susan Shiff-Haluska graduated from Husson College in Bangor, Maine in 1969, and began a 35-year career with the Central Intelligence Agency (CIA). With progressive promotions and new, challenging assignments including time off to be married and later the birth of her son. She was chosen to fill the position of Special Assistant to the Agency's second-in-command, the Deputy Director of Central Intelligence. After almost nine years in this position, she decided it was time for a change and was selected to serve the Agency in overseas assignments until her return to the United States in 2001. Upon her return to the US, she accepted a position as Executive Officer to the President of CIA's training facility, retiring in 2004. This last assignment of her Agency career seemed appropriate because as a child, she had always wanted to be a teacher, and both her parents had worked in various capacities at the University of Maine. She also know the importance of giving back to one's heritage. Upon her mother's retirement as secretary to the Chemical Engineering Department, and Pulp and Paper Foundation, a scholarship was established in her name to help deserving young students from her home area to pursue their higher education in the chemical engineering field. For the past 15 years, it has been a joy to read the thank you letters she has received from the recipients of her scholarship, and the joy it brings to know you've been able to help fulfill someone's dream of higher education. She has known the Campbell's for only five years, and in those five years she has grown to admire their commitment to the GVN-C Foundation and the commitment of so many Eudorians to giving deserving students the opportunity for higher education. The commitment, enthusiasm, and goals of the Foundation made her realize she, too, wanted to be a part of an organization dedicated to helping deserving students of Eudora in their pursuit of academic excellence. Michelle Walker is an advocate of fulfilling one’s purpose in life. She has a lifetime commitment to inspire, educate and empower individuals. As director of education at DECA Inc., she serves as the point of contact for education related issues and collaborates with major national constituency groups. Michelle promotes DECA’s co-curricular teaching and learning methodology to business and marketing programs at high school and university levels through professional development and presentations at national education forums and conferences relevant to career education and student leadership organizations. Prior to joining the staff at DECA, Walker was associate professor, marketing teacher educator, and program coordinator of the Applied Technology, Training and Development program at the University of North Texas. She has published numerous articles in leading academic journals. 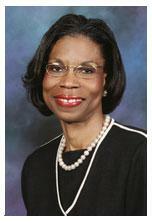 Michelle earned her doctor of philosophy and master of education degrees from the University of North Texas. She received her Bachelor of Science degree from Texas Woman’s University in fashion merchandising. She is an alumna of Leadership America and Leadership Texas.